India is now the world's favored market for BPO companies, among other competitors, such as, Australia, China, Philippines and Ireland. The BPO boom in India is credited to cheap labor costs and India's huge talent pool of skilled, English-speaking professionals. Research by the National Association of Software Services and Companies (NASSCOM) has revealed that quality orientation among leading BPO companies, 24/7 services, India's unique geographic location and the investor friendly tax structure in India have all made the BPO industry in India very popular. Indian BPO companies offer varied services, such as, customer support, technical support, telemarketing, insurance processing, data processing, forms processing, bookkeeping and internet / online / web research. Customer support services: 24/7 inbound / outbound call center services that address customer queries and concerns through phone, email and live chat. Get ahead of your competitors, cut down on operational costs and get access to the services of skilled professionals, all by outsourcing non-core BPO work to India. 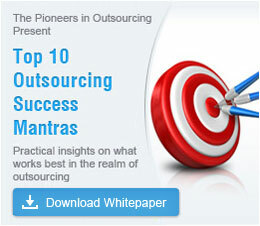 Make a decision to outsource to India today and watch your business grow exponentially. Get in touch with us now.